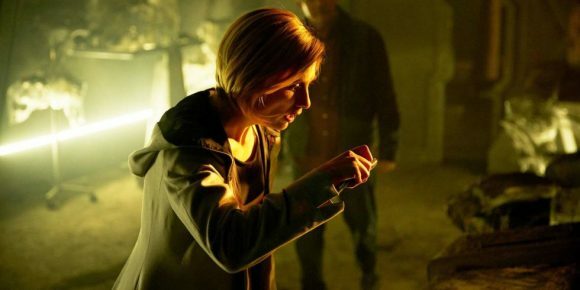 Doctor Who’s Friday night ratings averaged a shockingly low 2.1% – 3.1% of the core commercial demographics. Airing on the eve of a long weekend, and without Shortland Street as a powerhouse lead-in, would have hindered its prospects. But it still lost to TVNZ 1’s season premiere of The X Factor UK and Three’s The Project and The Graham Norton Show in all but the 18-39 demo. Viewership was down sharply on the previous week’s season premiere in two of the key demos — 2.6% of 25-54 (vs 4.1%), 2.2% of 18-49 (vs 3.4%) — and to a lesser degree in the others: 2.1% of 18-39 (vs 2.5%) and 3.1% of household shoppers with kids (3.4%). Four days of being OnDemand may also have contributed to this but a bigger factor would have been the one that starts with X. The UK version started strongly, largely winning its slot across all the core demos, with averages of 2.7% – 4.2%. It was competitive with the previous week’s MasterChef Australia and improved the slot’s HHS viewership by nearly a rating point. X Factor also dented Norton’s appeal, beating the chat show’s opening half-hour in all the key demos except 18-39, and won its Saturday slot in the 25-54 and HHS demos (TVNZ 2’s Hotel Transylvania was tops with 18-49s and 18-39s). 7 Days’ Spring Break special celebrated the show’s 300th episode by winning the hour with averages of 2.9% – 5.6% and helped Three to win the night in all the core demos. I still think TVNZ should have screened Doctor Who on Monday nights, the ratings would be MUCH higher. Tuesdays on Duke would work, there’s nothing else on then anyway (besides old movies). I maintain it’s too niche to work on TVNZ1/2. Maybe Duke might work or just a straight TVNZ OD offering. Well, Trevor, I do agree with you then. Doctor Who would be just perfect for a Monday night and but TVNZ should be looking at another series to shake things up. I’m in two minds about the latest Dr Who season but will persevere with it. I am changing my first post on Doctor Who. We need to replace the series with something like a drama series that will do better.